The 105/115 series Alfa Romeo Spider survived the inauguration of seven US Presidents, starting way back in 1966 when a Democrat named Lyndon B Johnson was living in the White House. Somehow the Spider continued to be produced with evolutionary changes through eight elections and one impeachment resignation and only went out of production in 1993 when another soon to be impeached President was in power. 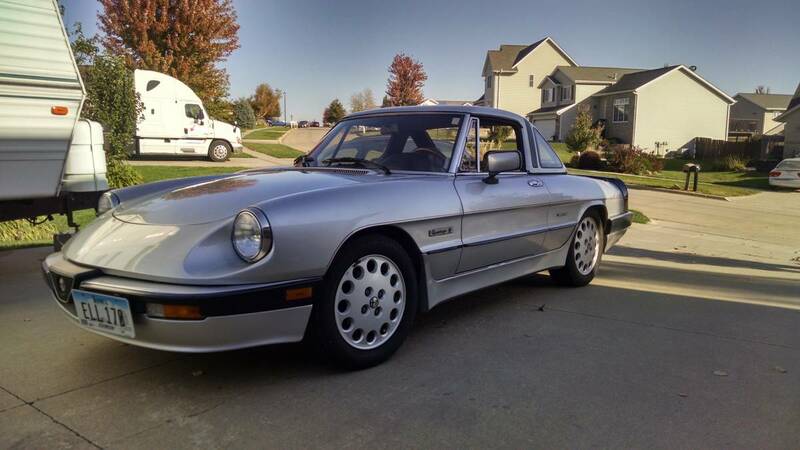 Find this 1987 Alfa Romeo Spider offered for $5,300 near Iowa City, IA. Tip from Zach. This series 3 Spider comes from the era of Reaganomics and bankrupting the Soviets in the Cold War. Expect the 115 horsepower and 119 ft-lbs of torque from the 2.0 liter twin-cam inline-4 to be just enough to make the 2300 lb chassis fun in the bendy parts of the road. 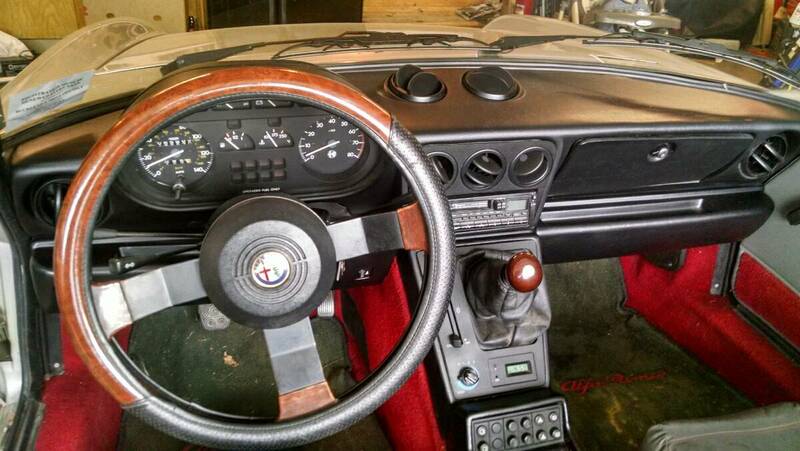 Or just enough to make 2300 lb chassis bendy in the fun parts of the road. Red, green and silver... an odd palette. The red carpets are Quad-specific, no?